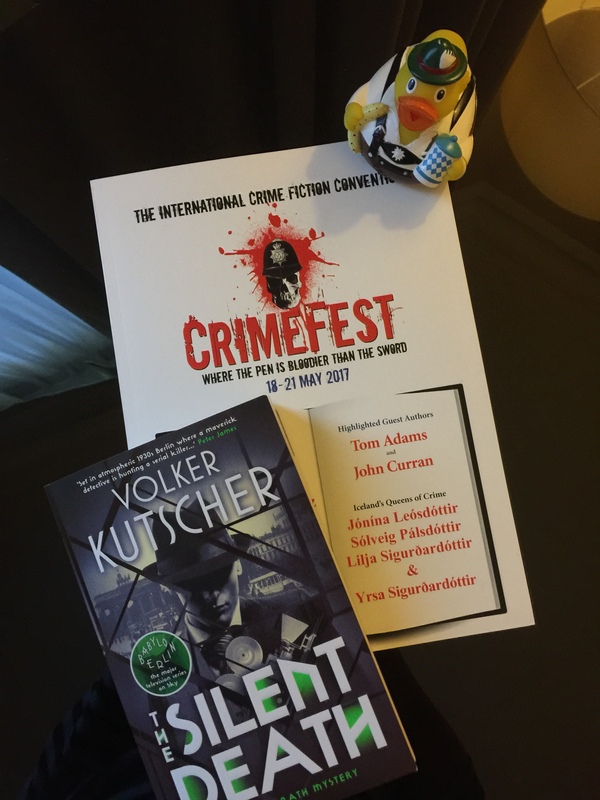 Posted on May 25, 2017 by Mrs P.
As ever, CrimeFest in Bristol was a four day extravaganza of goodness. Here are a few highlights. 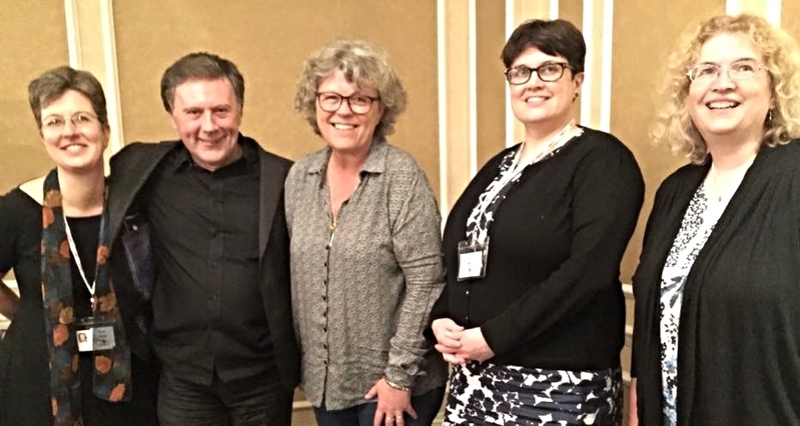 The four German authors on the Krimi panel – Mario Giordano, Merle Kröger, Volker Kutscher and Melanie Raabe – had never met before, but you’d never have known given the lovely dynamic between them. 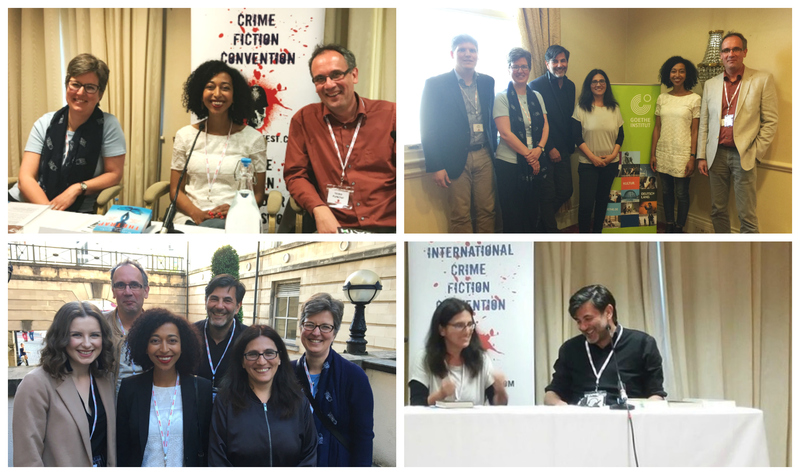 Each brought a very different kind of crime novel to the event, which made for fascinating and varied discussion. Clockwise from top left: Mrs P, Melanie, Volker; Jens Boyer (Goethe-Institut London), Mrs P, Mario, Merle, Melanie, Volker; Jess (Mantle), Volker, Melanie, Mario, Merle, Mrs P; Merle and Mario. Mario is the author of a comic crime novel with a serious edge – Auntie Poldi and the Sicilian Lions – which shows a recently widowed Aunt Poldi arriving in Sicily with the intention of drinking herself to death. Instead, she promptly becomes involved in a murder case and meets a handsome Sicilian police detective… Merle’s novel Collision is perhaps best described as a maritime thriller, and shows four vessels – a cruise liner, a refugee dingy, an Irish freighter and a Spanish rescue ship – crossing paths in the middle of the Mediterranean. Inspired by a short film shot by a cruise ship passenger, it has serious points to make about the refugee crisis and the negative effects of capitalism. 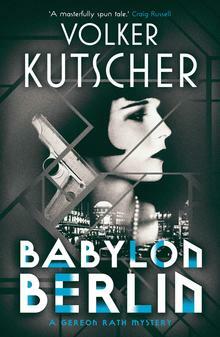 Volker writes historical crime novels – six in the ‘Gereon Rath’ or ‘Babylon Berlin’ series to date – which are set in Weimar Berlin and investigate (in part) the ways the Nazis came to power. The first novel is currently being adapted as a sixteen-part TV series by ARD/Sky, directed by Tom Tykwer, and will air this autumn. And Melanie presented her clever psychological thriller The Trap, which has done incredibly well for a debut, and is in the process of being made into a film by TriStar pictures. It features an intriguing protagonist – traumatised writer Linda Conrads – and explores the themes of grief, loss, isolation, madness and justice. 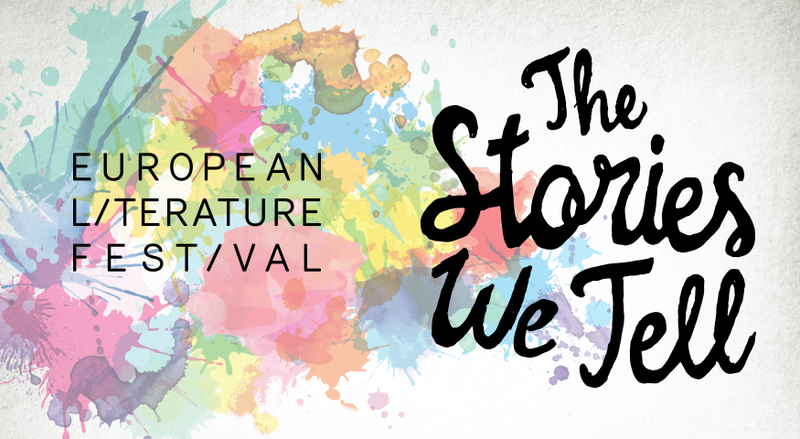 Audience questions led to discussion of how the German authors work with their translators – Imogen Taylor, Niall Sellar, John Brownjohn, and Rachel Hildebrandt/Alexandra Roesch – and there was lavish praise for the very skilled work that they do. The authors also recommended some of their favourite Krimi writers, including Doris Gercke (‘Bella Block’ series, set in Hamburg), Jan Costin Wagner (‘Kimmo Joentaa’ series, set in Finland), Bernhard Aichner (Woman of the Dead, set in Austria) and Simone Buchholz (Blue Night, currently being translated by Rachel Ward for Orenda Books, set in Hamburg). Thanks once again to our sponsors for making this very special event happen! Saturday night at CrimeFest is always a special occasion for the Petrona team, as it’s when we announce the winner of the Petrona Award. 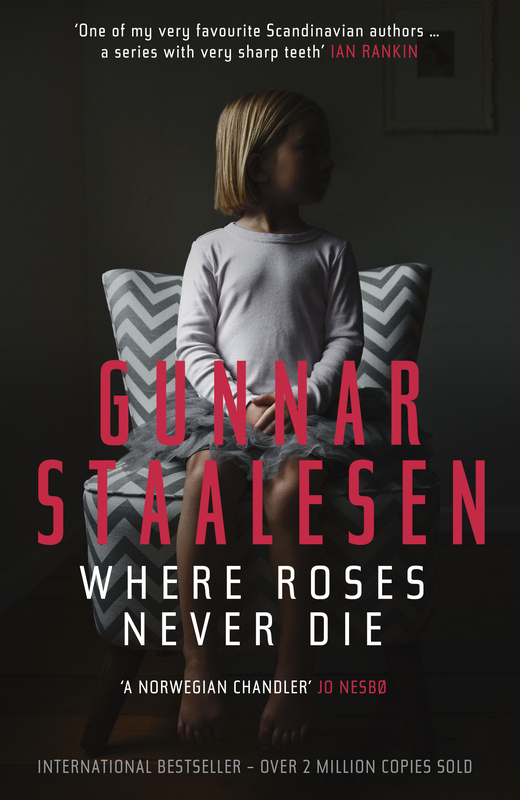 This year the award went to Norwegian author Gunnar Staalesen for his crime novel Where Roses Never Die, translated by Don Bartlett and published by Orenda Books. Both Gunnar and Don Bartlett were at CrimeFest to accept and enjoy the award, and Gunnar paid touching tribute to his ‘perfect translator’ in his acceptance speech. 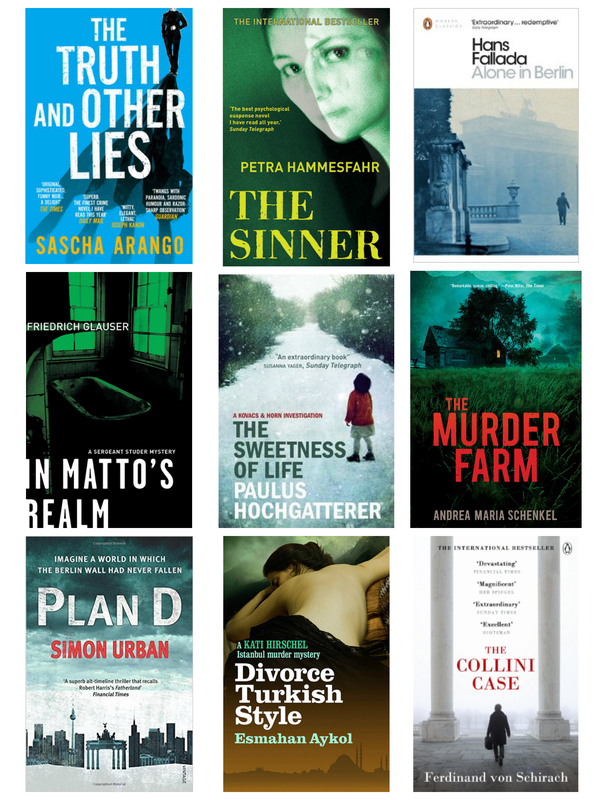 Congratulations must also go to the other shortlisted authors for their wonderful crime novels – gems one and all. Sincere thanks as well to our Petrona Award sponsor, David Hicks, for his generous support. Other highlights for me included the American Noir panel, with C.J. Box (‘Joe Pickett’ series) and Bill Beverly (whose exceptional debut Dodgers has raked in prize after prize), and the Icelandic Queens of Crime panel, featuring Jónína Leósdóttir, Solveig Pálsdóttir, Lilja Sigurðardóttir and Yrsa Sigurðardóttir. All four talked very eloquently about their work and Iceland, and also made me want to invite them to a riotous and extremely fun dinner party. 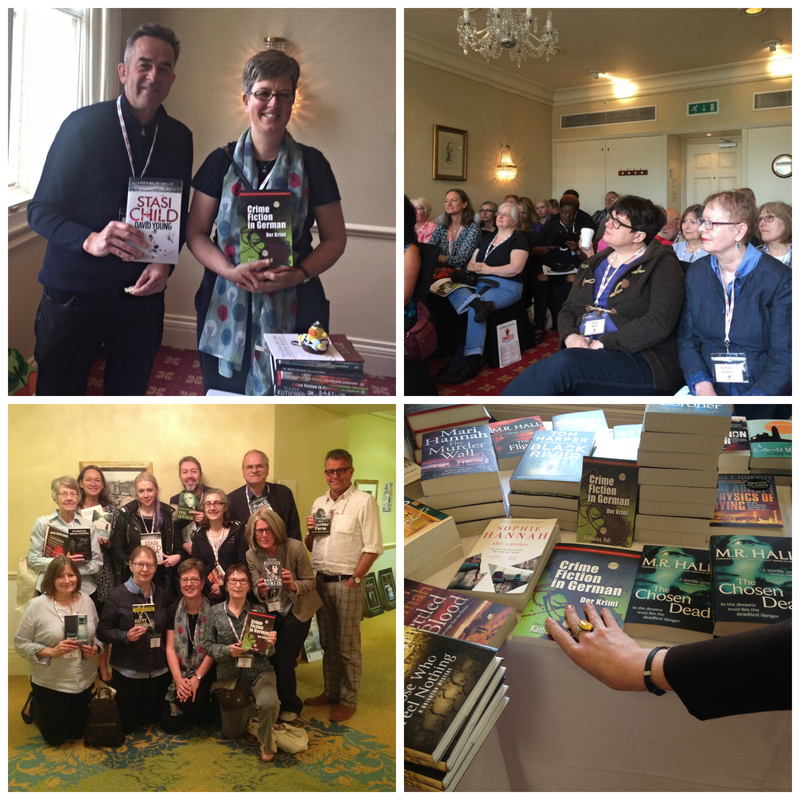 A big thank you to the CrimeFest organisers for another cracker of a year. 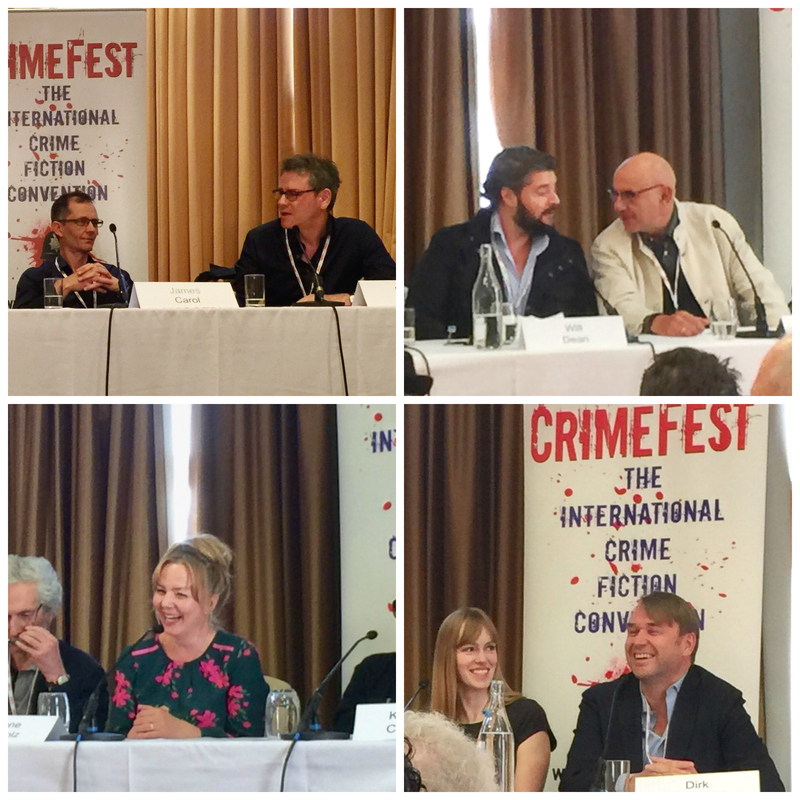 Clockwise from top left: Mario Giordano; Barry Forshaw with the American Noir panellists; tea with Ewa and Jacky; Barry moderating the Icelandic Queens of Crime; last but not least – Ragnar Jonasson, Melanie Raabe and Hugh Fraser after their ‘Misfits and Miscreants’ panel. 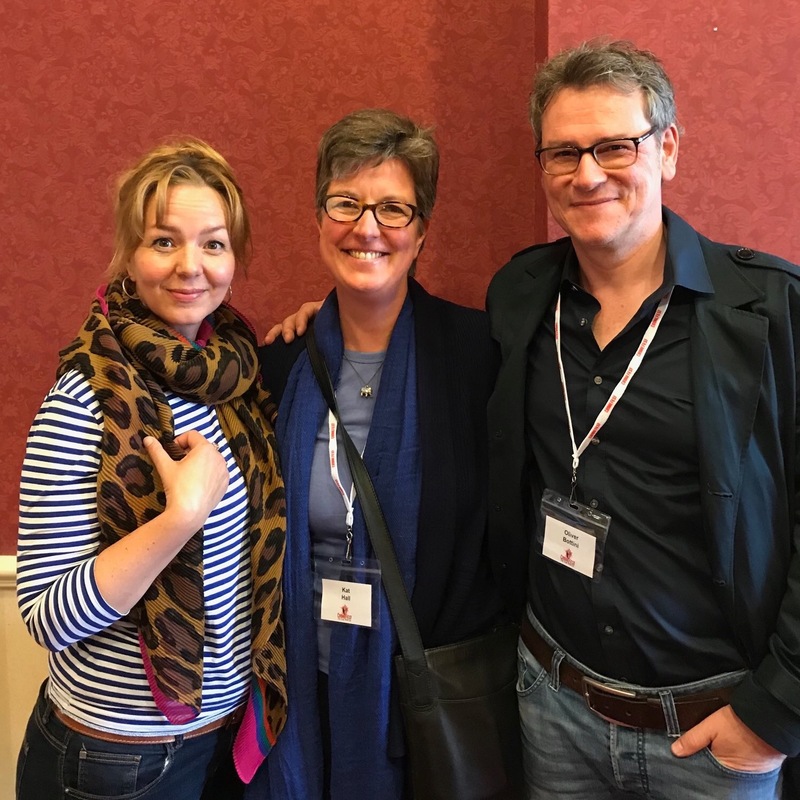 Posted on May 16, 2017 by Mrs P.
CrimeFest is nearly upon us, which means that lots of excited crime readers, bloggers, authors and publishers are getting ready for their annual pilgrimage to sunny Bristol. 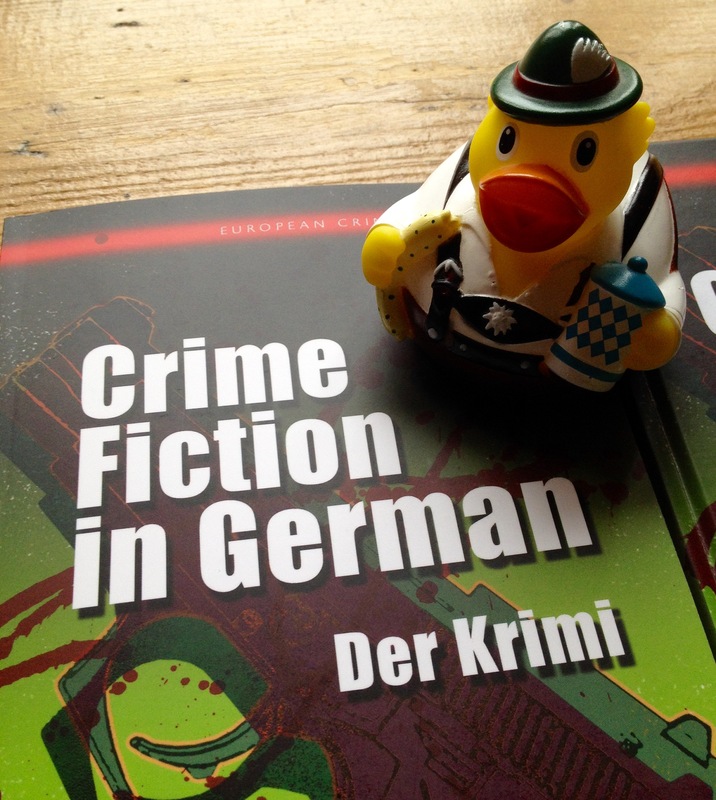 This year’s CrimeFest will be very special, because there’s a panel on German crime fiction for the very first time, with four top German crime writers being flown in by the Goethe-Institut London to discuss their works and the delights of the Krimi. 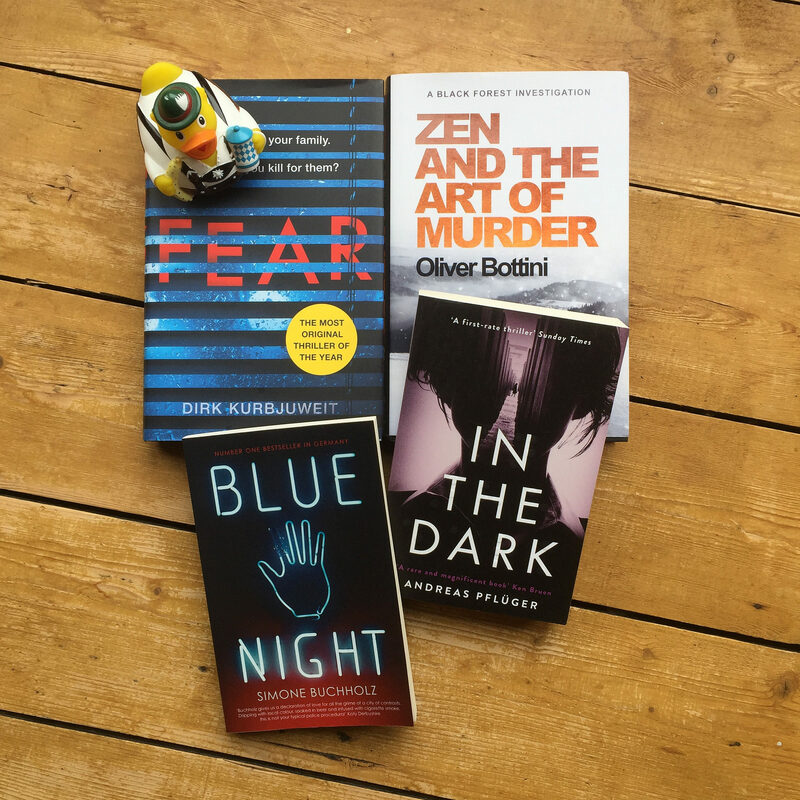 I’m delighted to be moderating the panel, not least because I’ve had the pleasure of reading a host of excellent crime novels and thrillers as part of my prep. And yes, Erich the Bavarian Duck will definitely be there! The panel features German crime authors Mario Giordano, Merle Kröger, Volker Kutscher and Melanie Raabe in conversation with Mrs P. Topics under discussion will include the diverse crime models the authors use to tell their stories – from historical crime fiction and political thrillers to psychological thrillers and comic crime – and the way in which their settings, ranging from 1930s Berlin and contemporary Sicily to the more claustrophobic confines of a cruise ship, boat or house, have shaped their work. The panel offers an excellent opportunity to see four of the brightest talents of German crime fiction in person. If you’re at CrimeFest, please do come along! Mario Giordano has written numerous novels and YA books, as well as screenplays for the iconic German TV crime series Tatort. In 2001, he adapted his novel Black Box for film, resulting in the award-winning The Experiment (dir. Oliver Hirschbiegel). 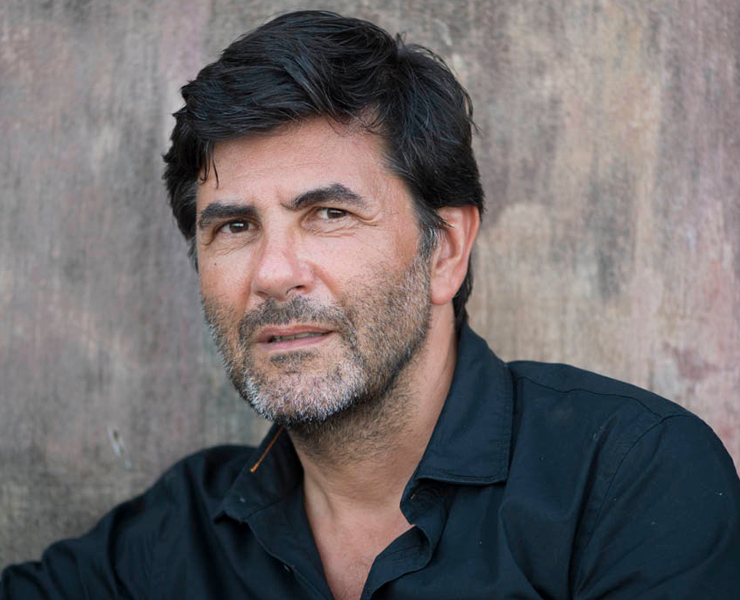 Mario’s debut crime novel, Auntie Poldi and the Sicilian Lions (John Murray), is his first novel to be translated into English and the first of a comic crime series set in Sicily. 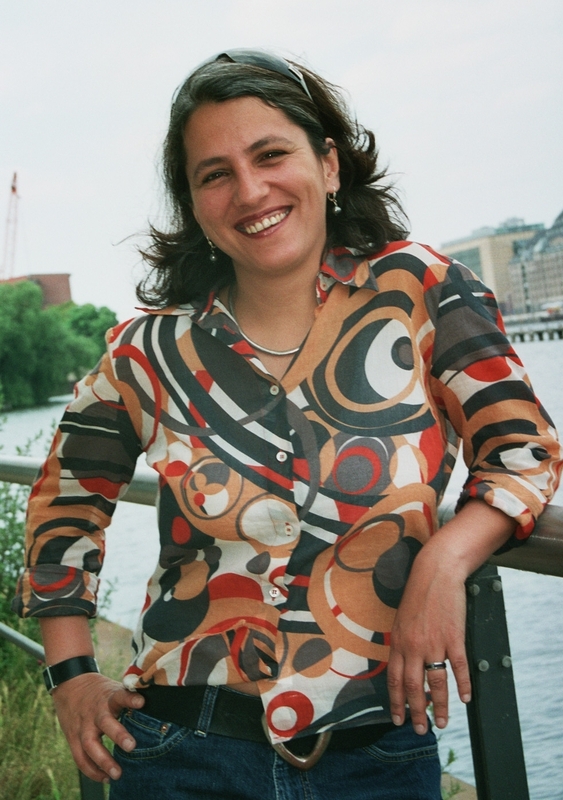 Merle Kröger produces films and documentaries for international arthouse cinema, and is a scriptwriter for independent cinema in India. Since 2003, Kröger has published four novels, which combine documentary research, personal history and political analysis with elements of crime fiction. 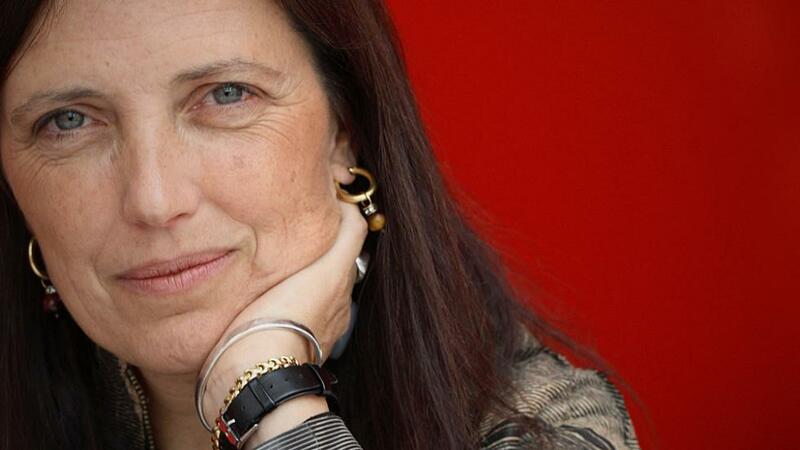 She received the prestigious German Crime Fiction Prize for Grenzfall (2013) and Havarie (2016). The latter will be published in the US in 2017, entitled Collision. 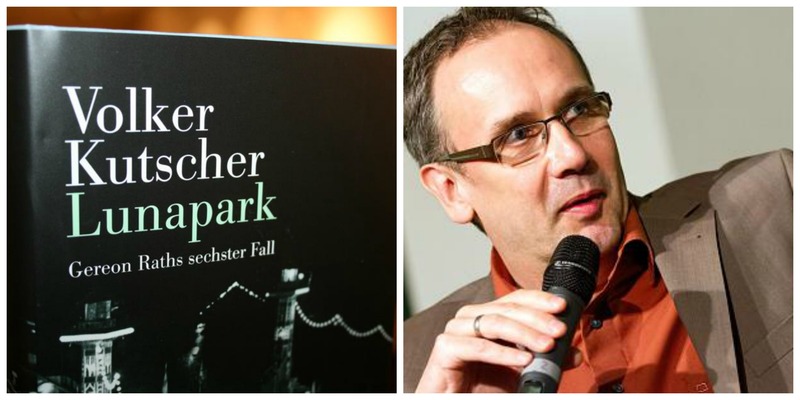 Volker Kutscher worked as a journalist before turning to crime. His award-winning ‘Gereon Rath‘ series currently consists of six novels, which are set in a politically turbulent 1920s and 1930s Berlin. The series has been translated into ten languages, and the first two novels – Babylon Berlin and The Silent Death – are available in English with Sandstone Press. The series is also currently being adapted for TV by ARD/Sky, with Tom Tykwer directing. Melanie Raabe grew up in eastern Germany, and attended the Ruhr University Bochum, specialising in media studies and literature. 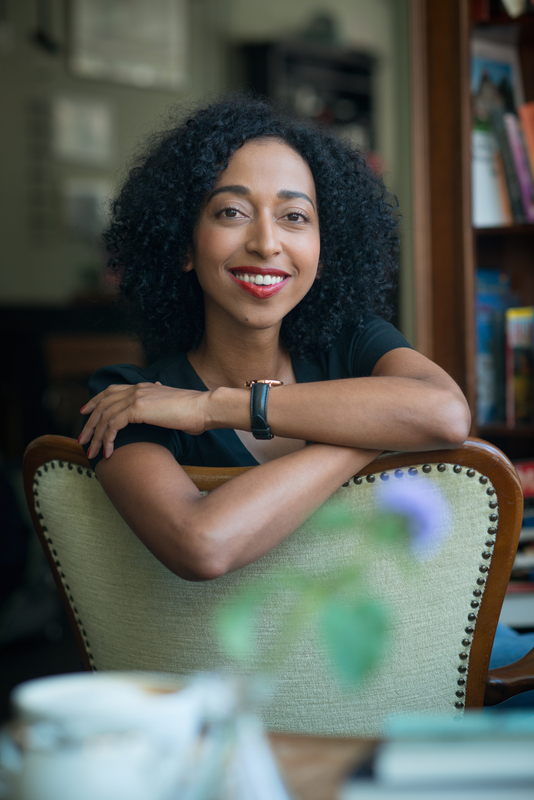 After graduating, she moved to Cologne to work as a journalist by day and secretly write books by night. 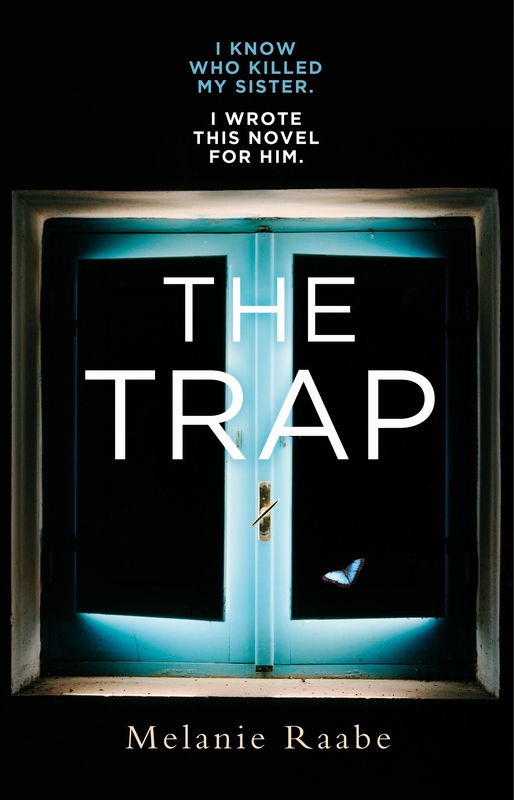 Her psychological thriller The Trap (Mantle) won the Stuttgart Crime Fiction Prize for best crime debut of the year, has been sold to more than 20 countries, and has been optioned for a film by TriStar Pictures. 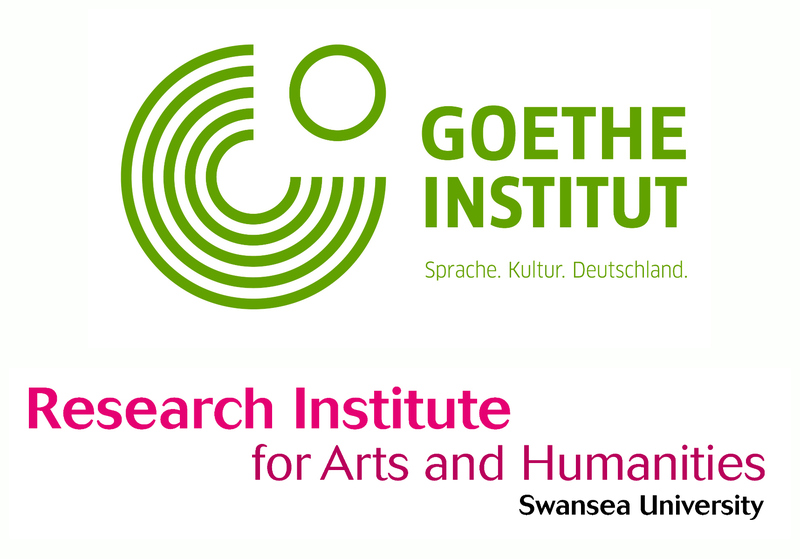 Huge thanks to the Goethe-Institut London for making this event happen, and to RIAH at Swansea University for its support! 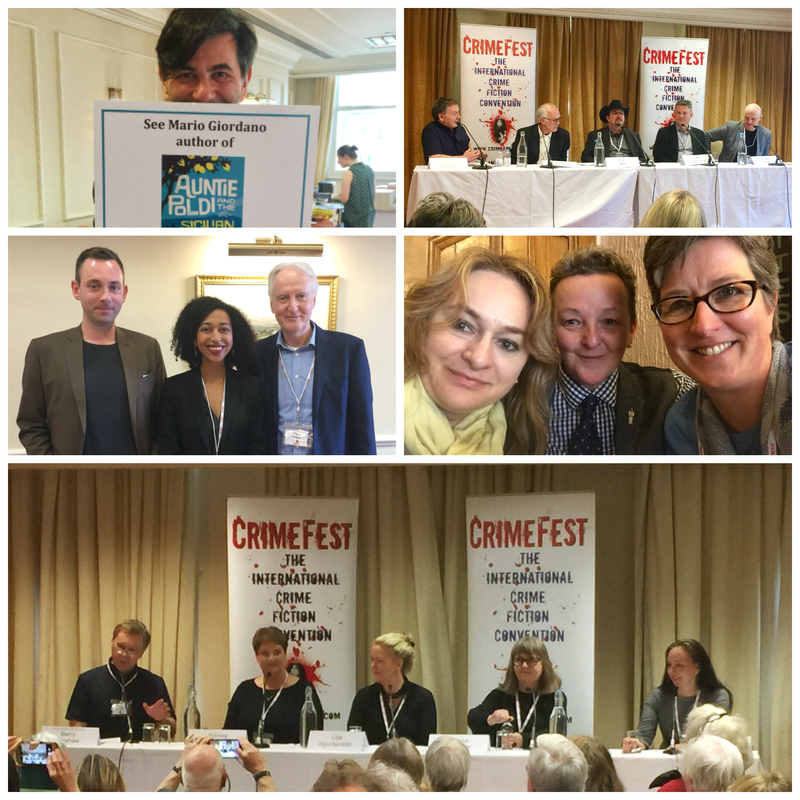 Posted on May 25, 2016 by Mrs P.
CrimeFest 2016 took place last week in Bristol, UK. It featured a succession of fabulous panels and, as ever, provided a wonderful opportunity to catch up with other criminally minded readers, as well as the great and the good of the publishing world. Here are my highlights. 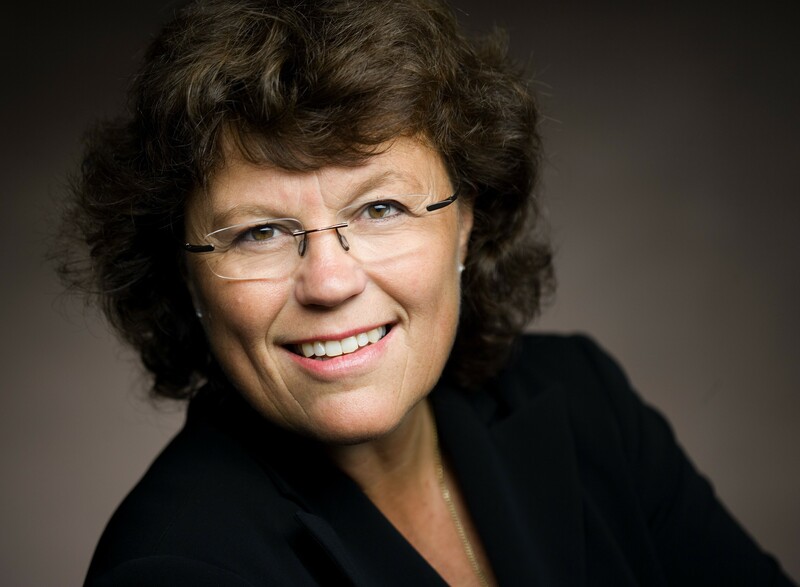 Anne Holt is one of Norway’s best-known crime writers and the creator of the Hanne Wilhelmsen series. She very rarely appears at crime conventions, so it was something of a coup to have lured her to Bristol as a featured guest author. Barry Forshaw’s interview with Holt on Sunday was fascinating and wide-ranging. Holt worked in journalism, as a news anchor, as a lawyer, and briefly as Minister of Justice for Norway. Then, at the age of 40, she moved away from a workaholic lifestyle and started to write. Her first novel was Blind Goddess (1993) and she’s never looked back. Hanne Wilhelmsen was the first lesbian investigative lead in Norwegian crime fiction. Hanne is a complex figure. Due to her upbringing and family background, she’s very private and prefers not to reveal herself to others. In this respect, she’s very different to Holt – a conscious decision in order to make the character more challenging to write. Holt has deep love of British crime, especially Agatha Christie. Her novels are still recruiting readers, for which we should be thankful. The eighth Wilhelmsen novel, 1222, is a homage to the golden age of crime (critics in Norway panned it – she’s not sure why- but it did well in other countries). Holt is friends with Jo Nesbo and has discussed the subject of violence with him. She feels that violence should not be directly described in crime novels unless necessary. She rarely does so (one exception), preferring to focus on the effects of violence instead. Holt says how crime novels do in Germany is a barometer for publishers in relation to British & European markets. Holt on the EU referendum: the EU is an instrument for peace and trade, and it would be a tragedy if Britain were to leave. It could be the beginning of end for the EU. I was also very excited to see Claudia Piñeiro at CrimeFest (and indeed in the UK) for the first time. Piñeiro is an Argentine crime-writing superstar whose work has been translated into numerous languages, but she’s not known here nearly as well as she should be. Bitter Lemon Press has published four of her novels in translation so far, including Betty Boo, which is set in a gated community in Buenos Aires and explores the nature of modern journalism (review pending). Piñeiro is an incredibly versatile writer, whose depictions of Argentine society are astute, insightful and sardonic – I really hope to see more of her work in English in the future. 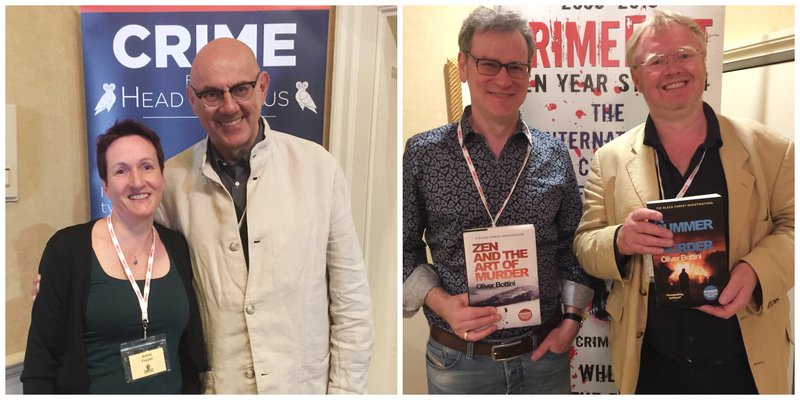 Adam Sisman, John le Carré’s official biographer, was also at CrimeFest, in a packed session with broadcaster and writer James Naughtie. Sisman spoke very eloquently about the benefits and challenges of writing on a ‘living subject’. For example, one of le Carré’s conditions was that he should be the first to see the manuscript, and he promptly emailed Sisman 22 pages of notes. At one point he told Sisman ‘it’s very strange to have you here poking around my mind’. Sisman rightly emphasised le Carré’s position at the top of the writing game from the early 60s to the present day. 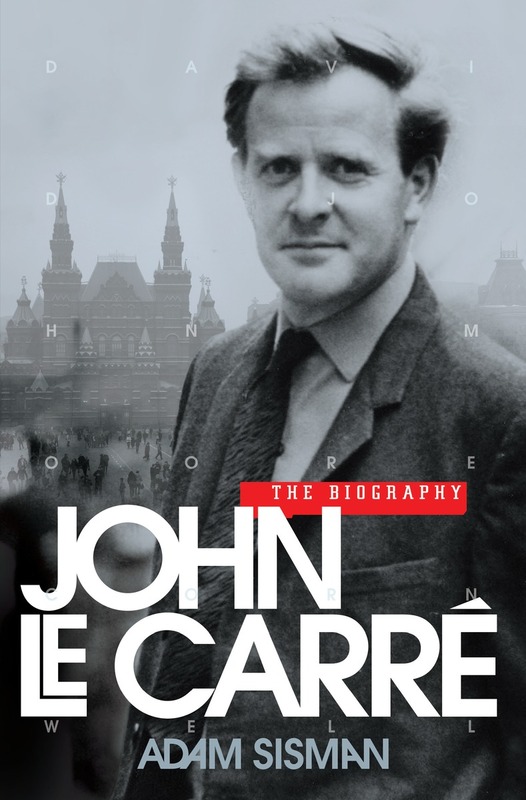 He also noted that le Carré’s political arc was unusual – from establishment to left-wing anger. While studying at Oxford University in the 1950s he spied on other students for MI5, something that troubles him now. The spying terms le Carré uses in his novels are often made up, but have been adopted by spying agencies. One CIA agent told Sisman that le Carré is ‘part of our DNA’. The author has a wonderful ear for dialogue/mimicry, and often rehearses characters’ conversations out loud when on walks. He’s always enthusiastic about the future, about new projects such as The Night Manager, and does not live in the past. Mrs Pea was also in action, presenting the Crime Fiction in German volume to a delightful audience in one of the ‘In the Spotlight’ sessions. David Young, author of Stasi Child, kindly acted as Draw Meister. Rather impressively, we managed to give away twelve Krimis and two copies of the volume in twenty minutes. Thanks again to the Goethe Institut, Swansea University, the University of Wales Press, Bitter Lemon Press, Penguin, Michael Joseph and Vintage for their support. And on Saturday night, the winner of the 2016 Petrona Award was announced: Norwegian writer Jørn Lier Horst for his novel The Caveman (see my interview with the author here). Bob Davidson of Sandstone Press accepted the award on Jørn’s behalf from Yrsa Sigurðardóttir, the 2015 Petrona winner. You can see the transcript of Jørn’s acceptance speech (which was rather lovely) on the Petrona website, along with details of the shortlisted titles. As ever, I’m very proud to be a judge for this excellent award, set up in memory of Maxine Clarke. From left: the winning novel and the Petrona trophy (photo Sandstone Press); Sarah Ward and Barry Forshaw announcing the award with Yrsa Sigurðardóttir (photo by Ali Karim); Bob Davidson accepting the award on Jørn’s behalf. I feel like I’ve only scratched the surface of CrimeFest16 in this post. For example, Ian Rankin, another one of the featured guest authors, gave a wonderful interview and treated the audience to an extract of his next Rebus book. Hopefully other bloggers will cover some different events/panels. 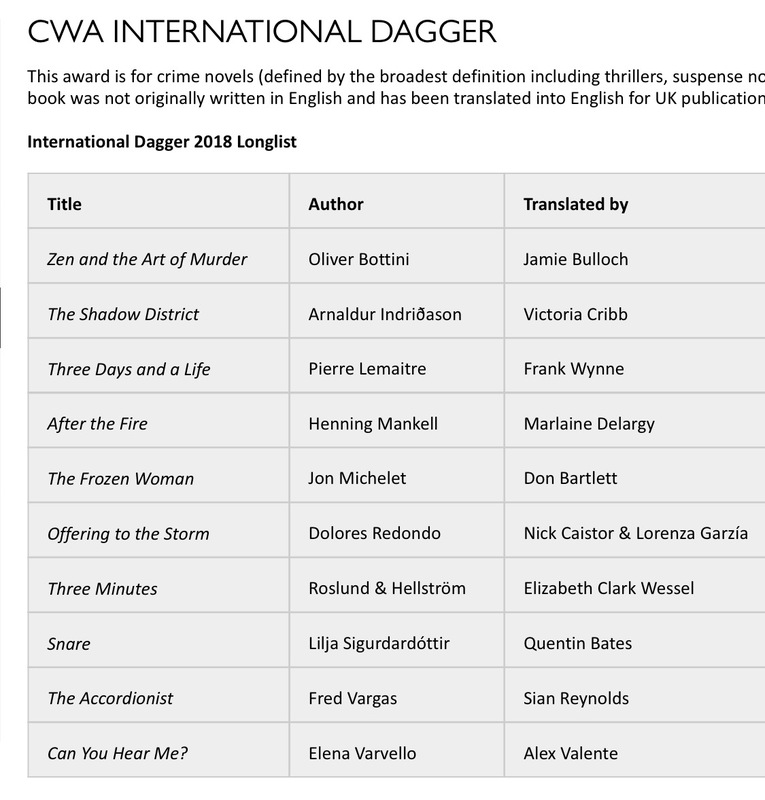 And…the CWA International Dagger longlist was also announced. I’ll leave you with the list of nominees below. Please note that two German novels have made the cut (Arango and Rademacher). I’ve also got my eye on Six Four, a Japanese crime novel highly praised by David Peace. Disappointed by the lack of women authors, though. 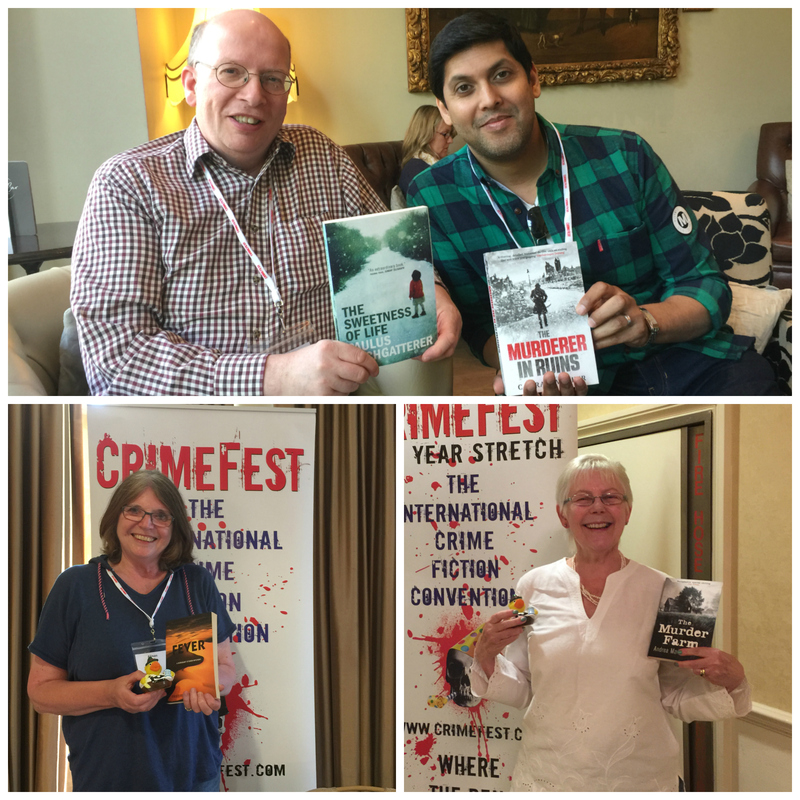 Many thanks to the CrimeFest16 organisers for a wonderful four days! 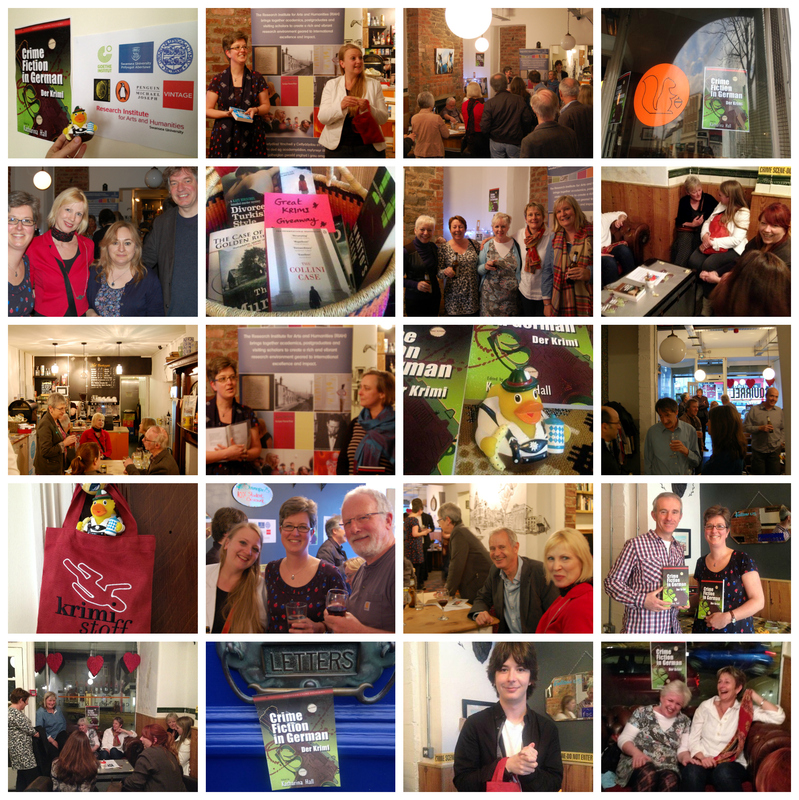 Posted on April 16, 2016 by Mrs P.
The book launch for Crime Fiction in German took place on Thursday 14 April at the Squirrel Cafe in Uplands, Swansea. Professor Claire Gorrara from Cardiff University, who is series editor of the University of Wales Press ‘European Crime Fictions’ series, kindly came over to say a few words. I said a bit about the volume and thanked all those who had helped it on its way – not least the marvellous contributors – before introducing extracts from Doris Gercke’s How Many Miles to Babylon and Simon Urban’s Plan D (read with aplomb by Christiane Günther and Kevin Sullivan). 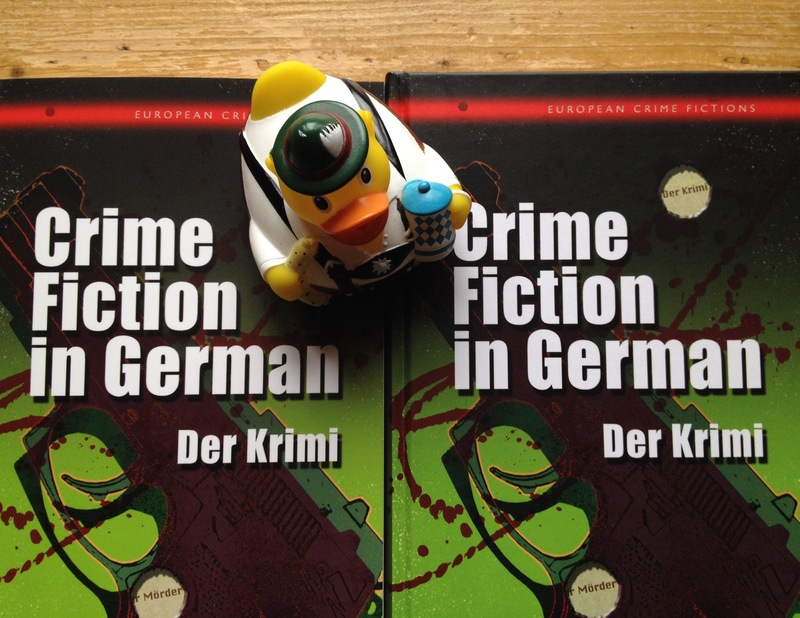 We completed proceedings with a special Krimi raffle of two copies of Crime Fiction in German and ten Krimis, and toasted the volume with Bitburger Bier. 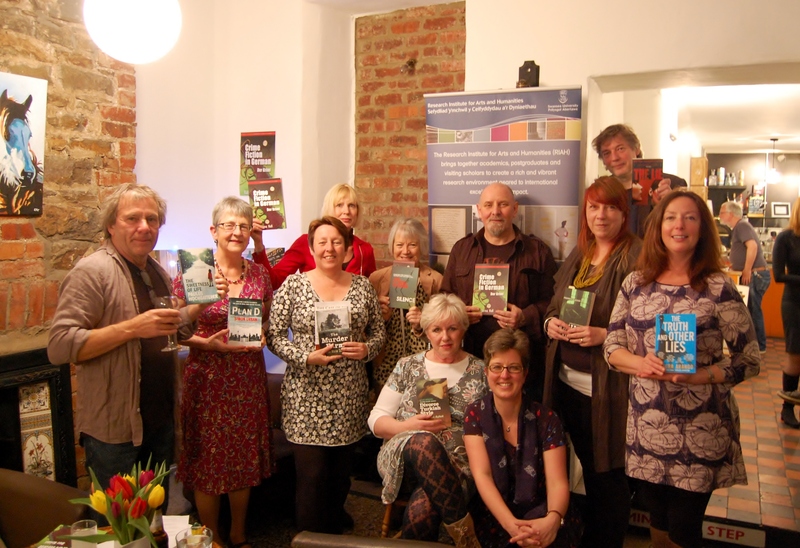 The evening’s winners are pictured below, along with a few other photos from a splendid night – many thanks to everyone who came along, including the Swansea Sleuths and Brynmill Bookclub. For an interview about the volume, which includes Krimi recommendations from each chapter, head over to Lizzy’s Literary Life (thanks Lizzy!). And a reminder that you have until the end of Sunday 17 April to enter the ‘Giant Krimi Giveaway’ on the ‘Mrs Peabody Investigates’ blog –> HERE! Photo credits: Ewa Sherman and Kevin Sullivan. With thanks to the Research Institute for Arts and Humanities at Swansea University and the University of Wales Press for supporting the book launch, and to the Goethe Institut London, Penguin, Michael Joseph and Vintage for supporting the giveaways. Special thanks to Bitter Lemon Press for sending an enormous pile of Krimis for the giveaways, including Jakob Arjouni’s Brother Kemal, Friedrich Glauser’s In Matto’s Realm and Esmahan Aykol’s Divorce Turkish Style.